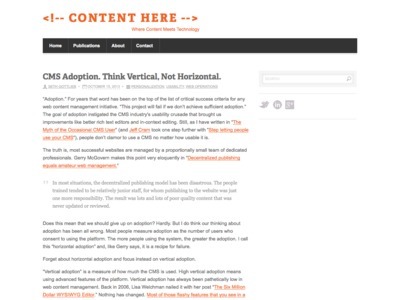 Tim Strehle’s Blog » Seth Gottlieb: CMS Adoption. Think Vertical, Not Horizontal. Seth Gottlieb: CMS Adoption. Think Vertical, Not Horizontal. “High vertical adoption means using advanced features of the platform.